This book was funded by a Kickstarter campaign that I run in mid 2016. Printed in January 2017, it received enthusiastic reviews from the backers of the project. The second half of the book presents all the Commodore games on cartridge, with cover scans, descriptions and screenshots. A few games feature a double page image, with all the text patiently removed in Photoshop to reveal the beauty of the original illustration. The scans have been professionally color corrected to remove the ink fading and the yellowing of the cardboard (all the games are more than 30 years old); every scratch has been removed to present the covers in their original splendour. More information and buying options in the shop section of this site. The older contents of this article are shown below (all the links have been removed since they’re now obsolete). 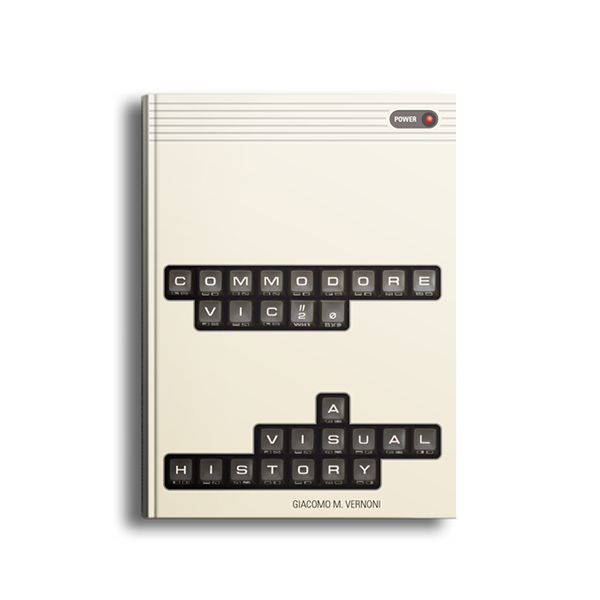 After planning this project for months, I launched the Kickstarter campaign to fund my book on the Commodore VIC 20. The campaign goal of €20,000 is needed to print about 500 copies of the book counting the English and Italian versions. During this first day of the campaign, the first backers supported my book, I got questions and comments from Kickstarter and from the social networks – I’m really thrilled! This is the introduction I published on Kickstarter, if you’re interested in the book please read the full description on the site. “A visual history” doesn’t mean that there won’t be any text: every chapter will have an introduction, and many pictures will be described with a caption. “Visual” just means that the pictures are what makes this book special. This campaign didn’t reach its goal. I will start a new campaign by the end of May, offering the book in English only. The new campaign will start next Monday! I have made a teaser video for the campaign… or should I call it the iTeaser? The new campaign is live. Back it and share it! The campaign reached its €10,000 goal in one day, thanks to the support from the backers of the previous campaign. The campaign is over and the book is funded. If you arrived late, I’ve set up a page on this site to preorder the book. You can pay with PayPal (you don’t need an account, you can use your credit card). Oh and nice that I found your website through Kickstarter. A lot of info about what I played and worked with in my youth like the Vic 20, Amiga, Sinclair ZX et cetera. Thanks Damiaan for your support! 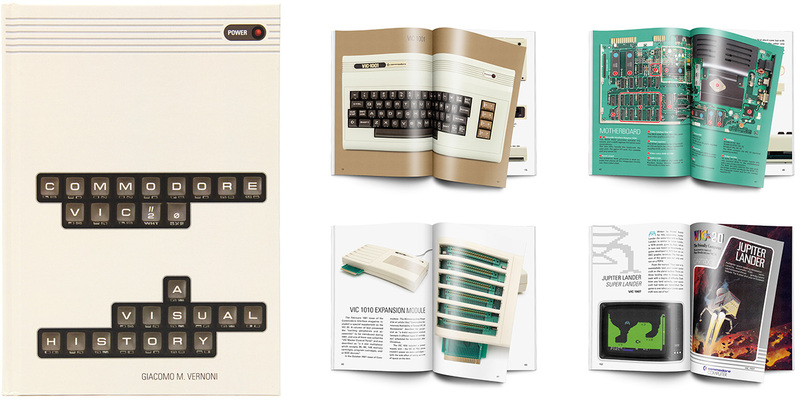 I saw the first kickstarter, but skipped it for some reason (maybe because I did not own a VIC-20 at that time). But I just bumbed ito this site and saw all the great photo’s you’ve made of all the systems I just decided to pre-order the book. Really look forward to it now.! @giacomo, I believe you are a trustworthy person so I am as a kickstarter member not afraid :-) But indeed, an update is always good. I see a lot of projects which don’t get any update and people loose their faith. So excited about this – congratulations Giacomo on getting the book finished! Can’t wait to receive a copy early next year.